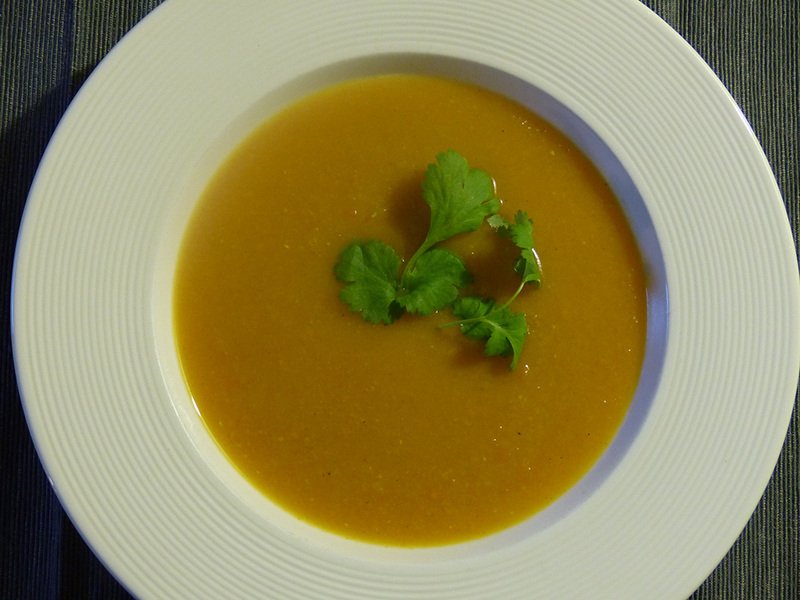 October can be cold too and this soup is a good way to warm up and also to use up the pumpkin! Serve it with your homemade chutney made in September. Put all the cut and chopped vegetables into boiling water and simmer uncovered for around 30 minutes. Stir in the spices and sugar and simmer for a further 15 minutes (or until the lentils are soft). Heat the vegetable oil into a frying pan and fry the onion with the seeds until the onion has softened. Stir in with the vegetable/lentil dish. You can add around 1tbsp of Engevita per portion to make it even more nutritious. Engevita is rich in B-vitamins. Serve with brown rice or if you made the chutney from last’s newsletter, that will go particularly well with this dish.